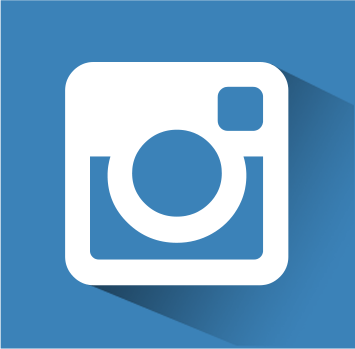 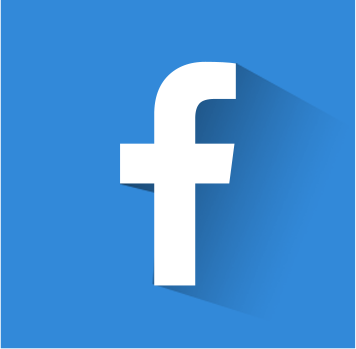 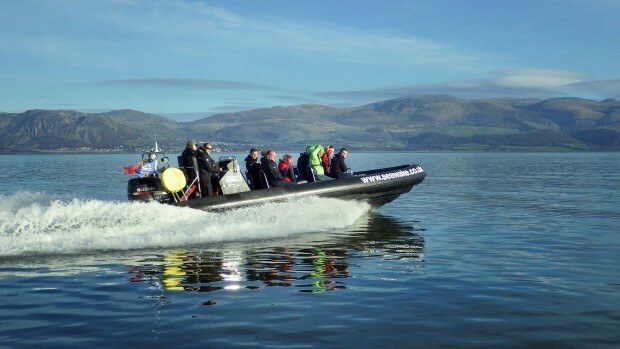 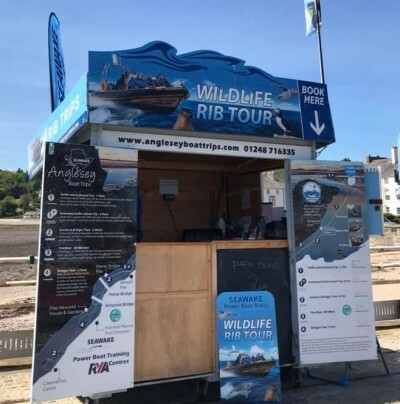 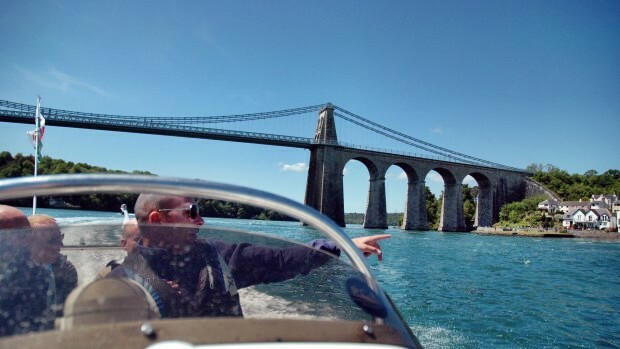 SEAWAKE Anglesey Boat Trips - ? 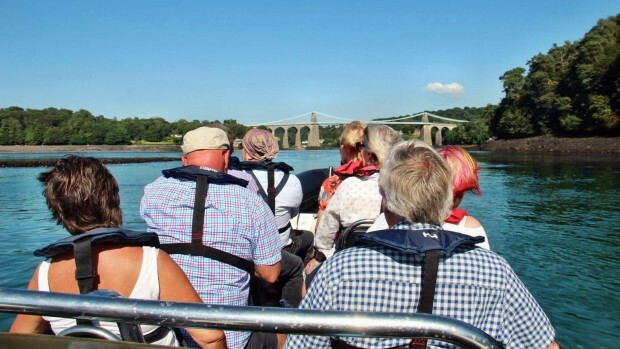 Departing from Beaumaris Pier (LL58 8BS), we cruise along the Menai Strait – into Port Penrhyn (depending on tides) the out past the Bangor Pier - Wales's longest pier at over 1500 feet. 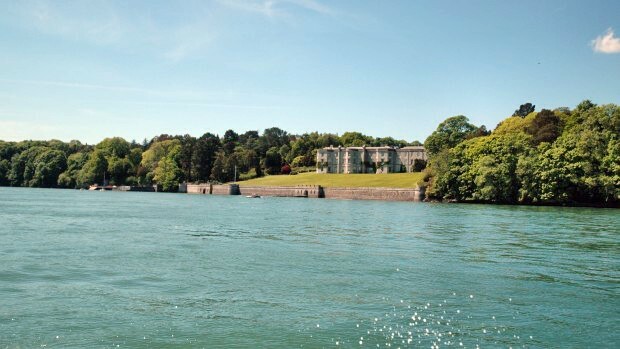 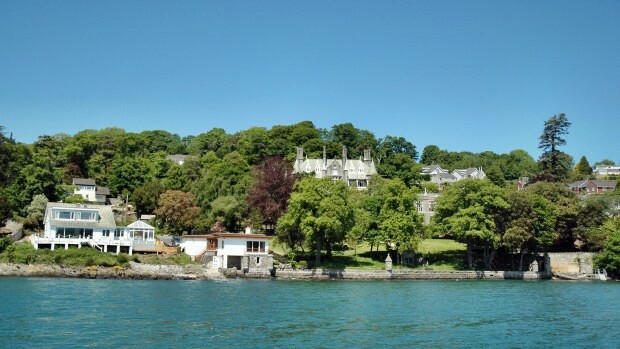 Following the Anglesey shore line we past some magnificent houses and hotels before circling underneath the iconic Menai Suspension Bridge. 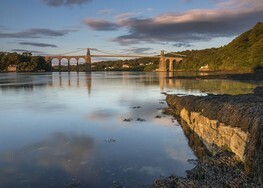 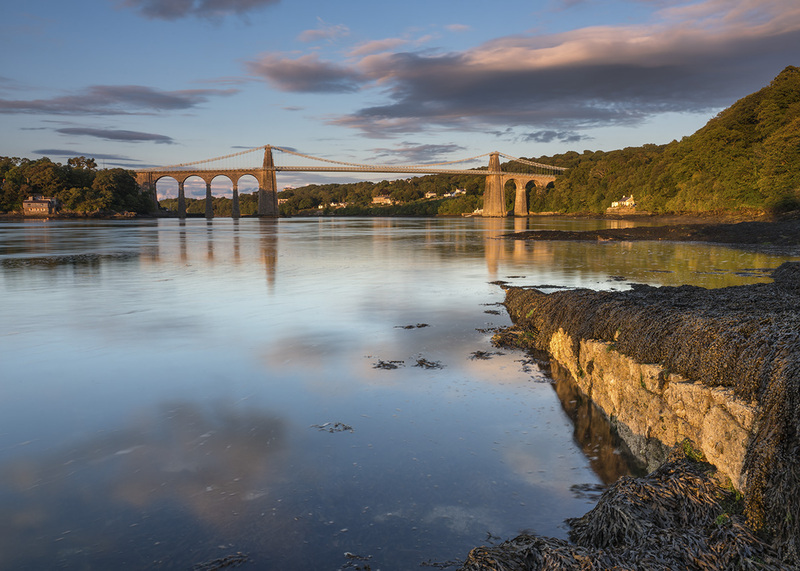 Completed on 30 January 1826, the Menai Bridge was a triumph of civil engineering – the biggest suspension bridge in the world at the time. 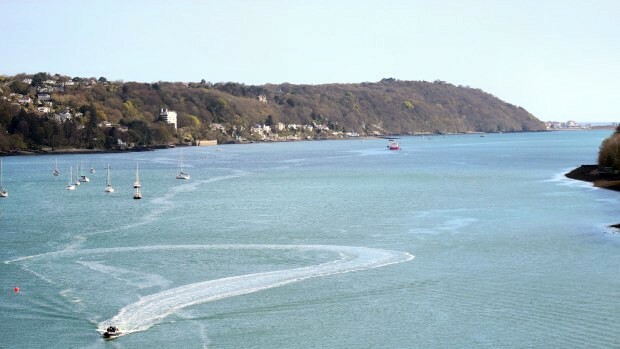 Now 2 Huge chains hold up 579 feet of deck, allowing 100 feet of the highest tide. 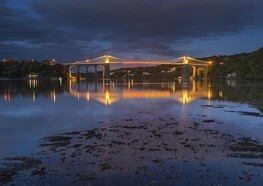 At the time it was built this allowed tall sailing ships navigating the seaway to pass underneath. 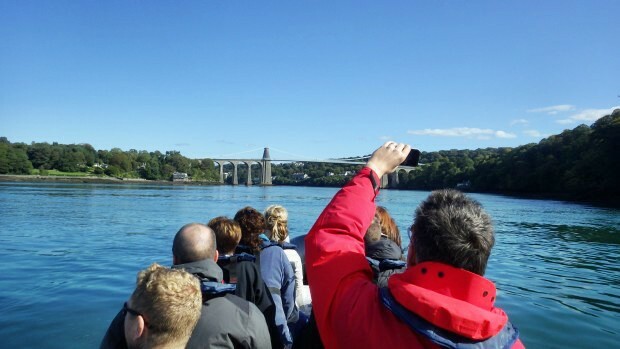 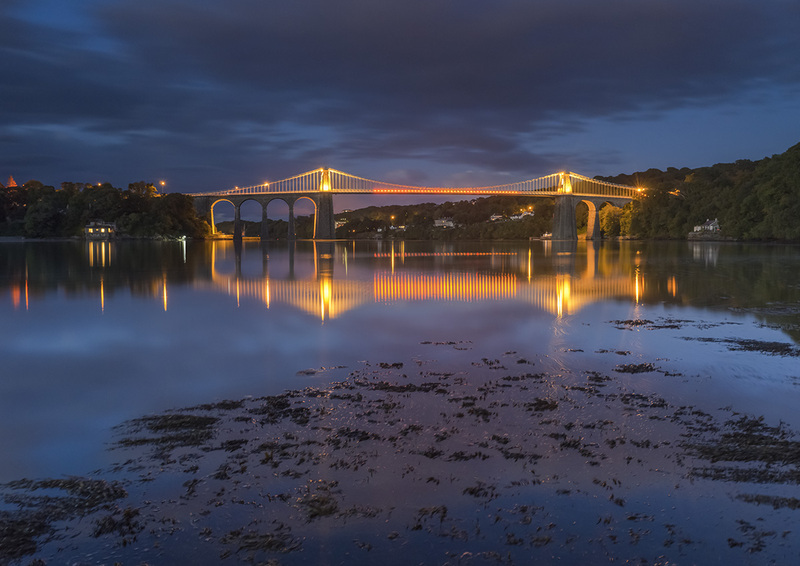 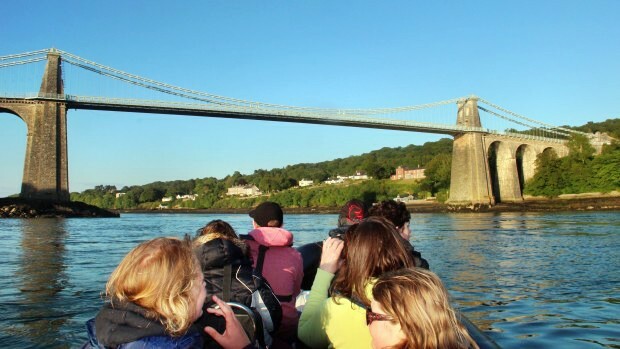 We then navigate the Swellies – famous for its strong currents which create a series of whirl pools and on round Ynys Gorad Goch – then underneath Robert Stevenson’s Britannia Bridge spotting the pairs of Britannia Lions situated either side of the bridge.